Google is taking yet another important step to help save us from ourselves. The company is releasing a complete redesign of their Chrome browser, which is exciting. There’s one feature in particular, however, that bears taking a special look at. Password security is something humans aren’t very good at. 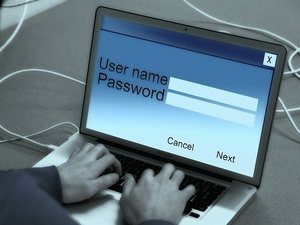 Despite the risks and the repeated dire warnings, many people still have the tendency to use the same passwords that are only marginally different, across multiple websites they have accounts on. The problem is that if one of the websites you have an account on is breached, it puts most (if not all) of your other web accounts at risk. It’s an extremely bad habit from a security standpoint, and unfortunately, it is one that has proved to be notoriously difficult to break. Google’s solution to the problem is interesting, but it should be noted that it is far from all-inclusive. Bear in mind that Chrome only manages passwords inside the browser, so if you log into services like Netflix on your smart TV, those login details won’t be captured in, or stored by your Google Account. Google isn’t the only company doing what it can to save us from our worst password impulses. Apple is making changes too. With the release of iOS 12, Apple will give its OS the ability to autofill passwords across browsers and apps from third-party password managers such as 1Password.